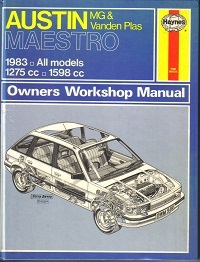 Covers 1983 to 1995 models with 1275 CC and 1598 CC engines including MG and Vanden Plas. ISBN 1859600573. In good condition. 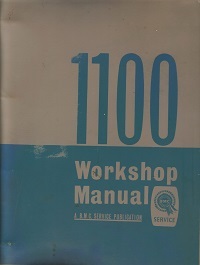 P. Olyslager Motor Manual 122 dated 1971. 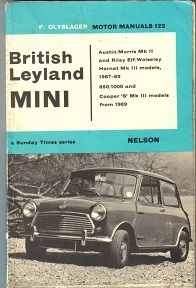 Covers Austin/Morris Riley Elf and Wolseley Hornet cars between 1967 and 1969. In good condition. Part number AKD 3615B dated 1965. For engine type 10AMW and 10GR 4 cylinder 1098 CC. 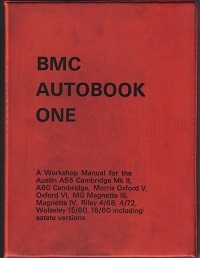 A genuine BMC workshop manual in good order. 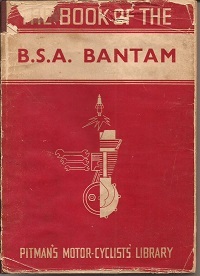 By W.C Haycraft covering the maintenance of the B.S.A Bantam two stroke motor cycles from 1948 to 1957. Torn D/J otherwise in really good condition. 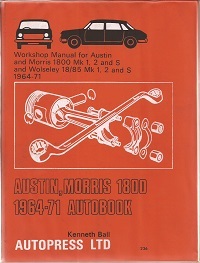 For Austin Morris Mk1 2 and 3 including S model and Wolseley 18/85. Features 129 pages and 20 sections. In very good condition. 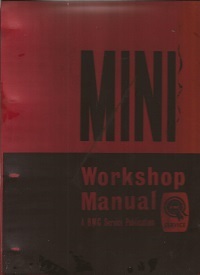 A generic workshop manual for the Austin A55 A60 Morris Oxford V MG Magnette 3 and 4 Riley 4/68 4/72 Wolseley 15/60 and 16/60. In good condition. Part number AKD 4061B. 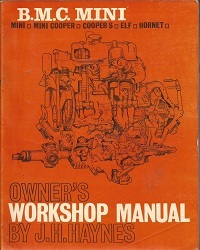 A genuine BMC dealer workshop manual from 1966 for the Mini Cooper and Mini Cooper S. In excellent condition complete with its original box and very rare. 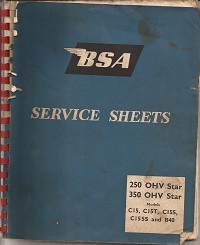 An original service manual dated May 1965 and covering the C15 C15T C15S C15SS and B40 models. In good used condition. By Kenneth Ball. 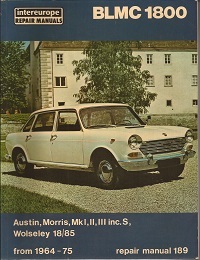 Covers the Austin Morris 1800 Mk1 2 and S models plus Wolseley 18/85 from 1964 to 1971. In excellent condition. Part number AKD 4021B. 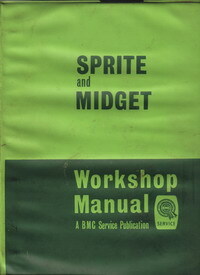 Covers Sprite Mk.2 and Mk3. Midget Mk1. & Mk2. In very good condition with slight scuff marks on the outer covers. By John H. Haynes with foreword by Paddy Hopkirk. Covers Mini Cooper, Mini Cooper S, Riley Elf and Wolseley Hornet with 848 CC to 1275 CC engines. In good condition. 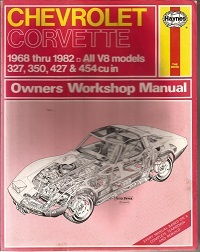 An extensive Haynes manual of 373 pages covering all V8 models with 327 350 427 and 454 cu in engiines. ISBN 085696851X. In good condition.